Hang in there, it's the final stretch! Live in DC this summer! Have an internship in DC this summer? Want to live two blocks from the capital with other UofSC students? 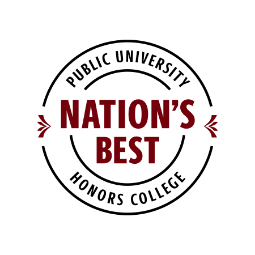 The South Carolina Honors College is the top-ranked public university honors college in the nation. Again. Go beyond the classroom and explore the world! Did you know that there is a huge amount of resources available to students and faculty at the Richland Library? Students can get a library card and have access to all of the wonderful services and spaces at the Main location! May Graduates: 5/9/19 at 6 p.m.